Jeremy Baker, of Americans for Prosperity, canvassed a neighborhood in King of Prussia, Pa.
KING OF PRUSSIA, Pa. — Here in the Pennsylvania suburbs, a political shift is underway: Republican leaders worried about Donald Trump’s presence atop the ticket are focusing as much of their attention on state races as they are on their presidential nominee’s fate in a crucial swing-state battleground. With Trump trailing in the polls, the question of the hour is what effect his lack of support might have on other GOP candidates on the ballot. Polls show incumbent Senator Pat Toomey clinging to a narrow lead over Democratic challenger Katie McGinty in the country’s most expensive Senate race. “If disgruntled conservatives stay home, Toomey is going to be in a lot of trouble,” said Katherine Rauch, a reluctant Trump supporter who is president of the Montgomery County Council of Republican Women. The dynamics in Pennsylvania are playing out across the country, as local officials scramble for ways to uphold the Republican ticket while distancing themselves from the increasingly imperiled Trump. Toomey’s predicament is echoed in New Hampshire, North Carolina, and Florida, among other states. If disenchanted Republicans fail to show up at the polls on Nov. 8 — or worse, vote for Hillary Clinton and her accompanying Democratic slate — the GOP could lose its US Senate majority. Democrats would need to gain four or five of the 34 Senate seats up for grabs, and prognosticators say they have better than even odds of accomplishing this as Trump’s fortunes tumble. 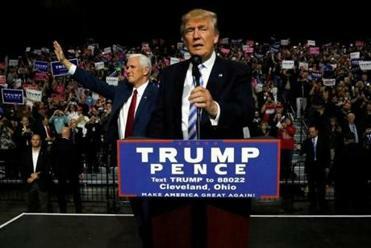 Donald Trump’s campaign bluntly acknowledged Sunday that he is trailing Hillary Clinton, but insisted he has a path to win. Trump has fallen more than six points behind Clinton in Pennsylvania — and is 28 points behind in the Philadelphia suburbs, according to a new Bloomberg poll — creating a whirlpool that could swallow the Republican senator. Chira Smith, a Republican running for state representative in West Norriton, kept her distaste about her party’s nominee to herself during a GOP women’s dinner in Montgomery County. But later, Smith told a Globe reporter that “it’s been a challenge” running with Trump atop the ticket. 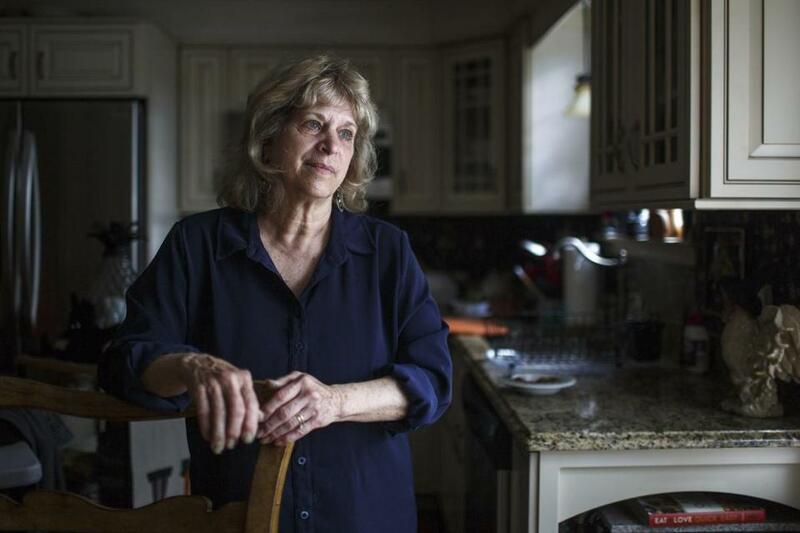 As she campaigns door to door, she said, voters frequently ask her how she could support Trump. Among the core activists who attended the dinner, however, most support Trump,some enthusiastically. One shouted out “Trump train!” and pumped her fists in the air as they dined on shrimp scampi and flounder franchese in a church banquet hall. No presidential candidate since 1976 has won Pennsylvania without the four suburban counties ringing Philadelphia. Nancy Garner switched her party registration to Democrat to vote for Hillary Clinton in Pennsylvania’s primary. “The rest of the party as far as I’m concerned has been drug down,” said Tampanello, a retired engineer. William Garner, a lifelong Republican, has a warning for any Trump supporter who dares utter “the ‘T’ word” in his driveway. “The wife will hear you and jump out the window,” said Garner, 64, a retired mechanic for a steel manufacturer who has voted in every election but is so turned off by this presidential campaign that he’s not sure what he’ll do. His wife, Nancy, has already switched her party registration from Republican to Democrat to help Clinton in the primary. A Democrat majority would make it far easier for a Clinton White House to put its policies in practice. 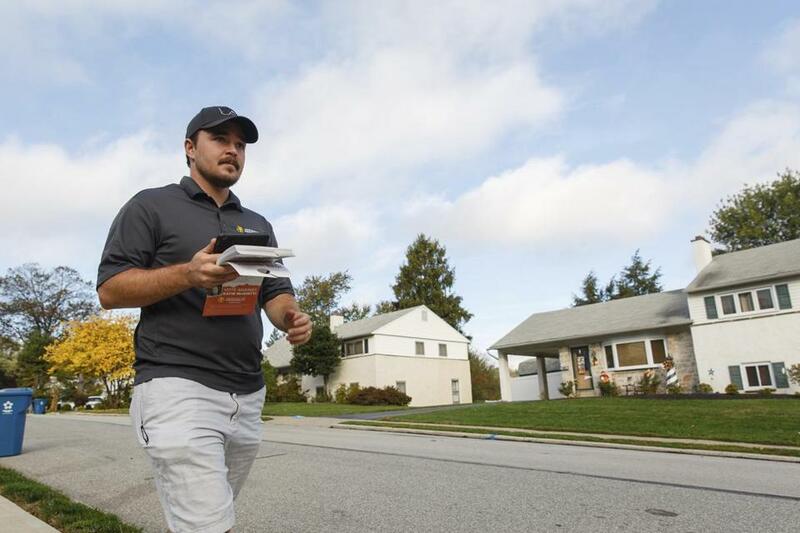 As the Garners spoke, a team of canvassers from Americans For Prosperity fanned out across the winding streets of their tree-lined neighborhood decked out in autumnal colors and Halloween decorations. Both Clinton and Trump signs dot neatly manicured lawns. The conservative political advocacy group, funded by the billionaire Koch brothers, is working on behalf of vulnerable Senate Republicans in swing states, including Toomey. Noticeably absent from their script: any mention of Trump. “We’re sticking to the issues,” said Jeremy Baker, a field director for the group and a former Toomey staffer. That means highlighting what AFP considers to be McGinty’s weaknesses, outlined on a door hanger. When undecided voters answer their door, Baker and his team raise questions about McGinty’s energy policies and ethics from the time she served as Pennsylvania’s secretary of environmental protection. Toomey himself also avoids mentioning Trump as he campaigns. He notably refrained from endorsing his party’s nominee and further distanced himself following the latest series of controversies. Following more accusations from women alleging the former reality TV star had sexually assaulted them years ago, Trump set off another panic among GOP leaders by proclaiming the election “rigged.” He has refused to definitely say he would accept the election results if he loses. “Our electoral system works,’’ he said. Toomey had not uttered Trump’s name during the meeting with entrepreneurs and local GOP leaders. Barbara Muhammad, a Chester Republican, said after the meeting that she will vote for Toomey but not Trump. And she wants other Republicans wary of a Trump presidency to understand the importance of electing other conservatives at the local, state and federal level. Keith Morgan, a Haverford Republican and former chief executive of AAMCO Transmissions who supported Ohio Governor John Kasich in the primary, said in a phone interview Trump’s nomination has driven him to not only vote for Clinton but raise money for her as well. “Any party that would enable this person to be their leader is corrupt and dishonest,” Morgan said.